Microsoft offers several tools to help keep its users safe from harm when surfing the web. Windows Defender, the Microsoft Safety Scanner and the Malicious Software Tool all work together to give you a safe experience online. 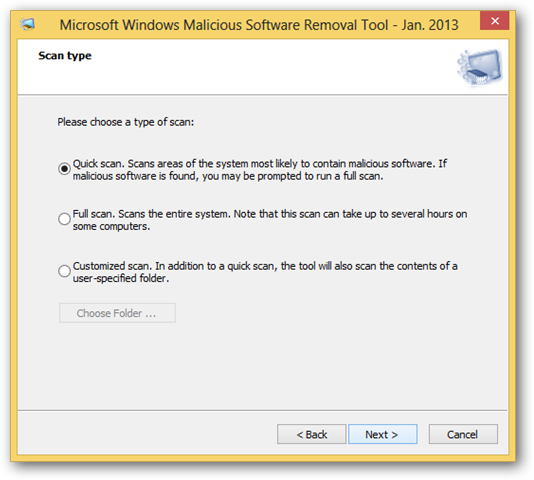 We’ve covered the Microsoft Safety Scanner, now we’ll cover the Malicious Software Tool. 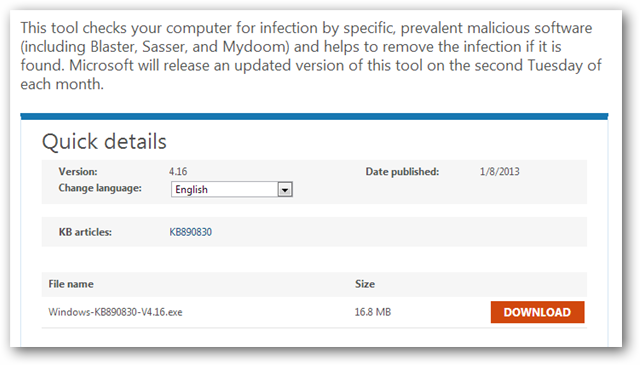 The Windows Malicious Software Tool in Windows 8 helps track down malware and malicious software that infects computers. The tool is easy to use, frequently updated and requires no installation in Windows 8. We’ll show you how to use the Malicious Software Tool in Windows 8 to protect your system from malware. On the second Tuesday of each month, Microsoft releases an updated version of the Malicious Software Tool. On that Tuesday, you should re-download and run the Malicious Software Tool to ensure safety on your system. Visit Microsoft’s website to download the Malicious Software Tool in Windows 8. 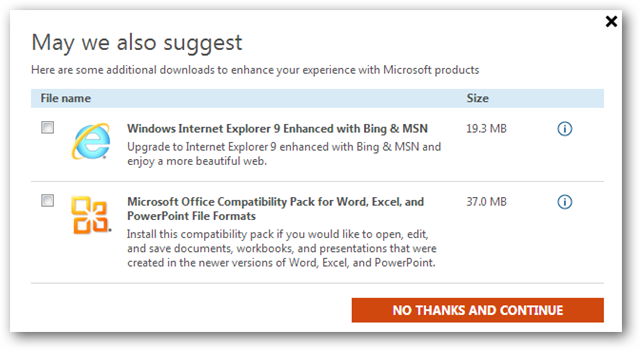 During the download process, Microsoft will suggest some additional software download and use. You can click the checkboxes next to each if you wish to use them or click No thanks and continue to move on to your download. Once downloaded, run the Malicious Software Tool. Microsoft provides you with a list of everything the tool will look for and remove from your system if you want to go through it. Now, your scan will start. Sit back and let it do its work. When finished, it’ll let you know if it found anything or not. If it did, it’ll list what it found and what it did with it. 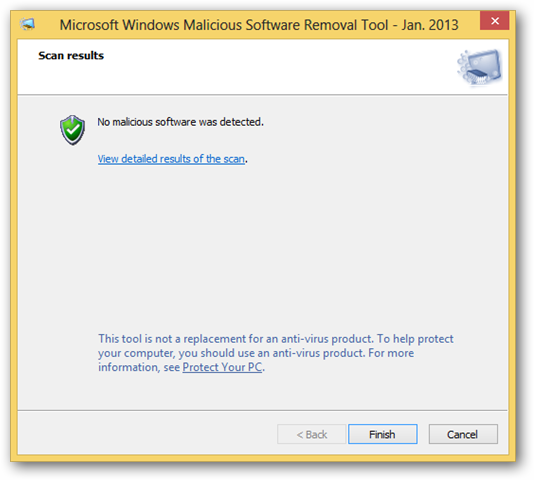 If nothing’s found, your system is clean according to Microsoft’s Malicious Software Tool for that month at the time of the scan. This gives you a detailed list of what the Malicious Software Tool scanned for and whether or not it was present on your computer. Click “OK” to close this window. 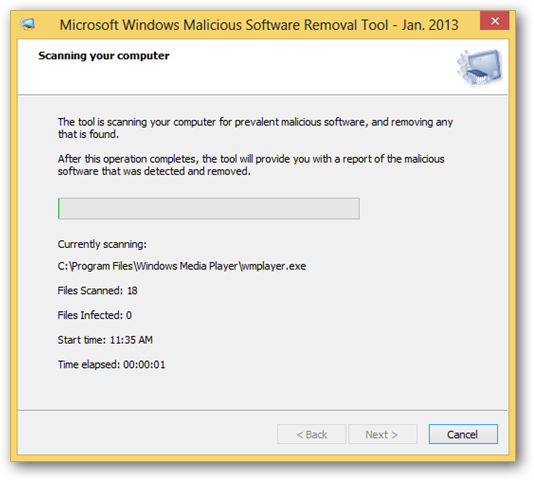 How effective is the Malicious Software Tool in Windows 8? 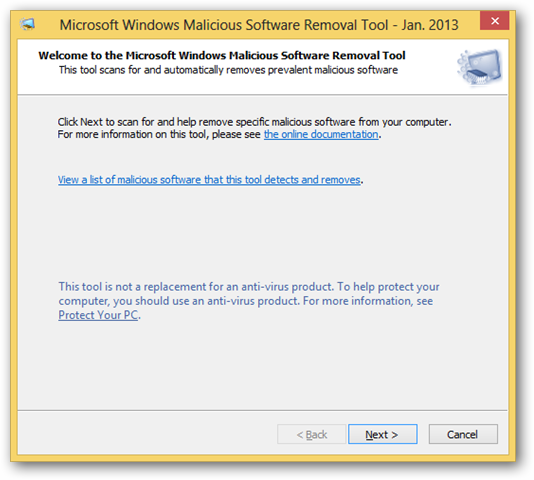 Microsoft has always kept a hefty database of malware and malicious software in this tool. It’s updated once a month and should be used at least that frequently. If you suspect you’re infected by something other anti-virus and malware programs aren’t finding, it won’t hurt to run the Malicious Software Tool in Windows 8 to try and narrow down the problem. The Malicious Software Tool is just one more item to add to your arsenal to protect your computer. Download the Malicious Software Tool. Next articleWelcome to Internet Explorer 10!